Friends, at first I thought about doing an all-shoe blog this week (that’s how banging the shoe section is right now! ), but there are so many other cool pieces that I want to share with you that, well, I think my head might just explode! Can someone please, please, PLEASE find me a way to justify how practical, useful and -I cannot state this more strenuously- necessary a pair of jeweled, velvet booties is?! 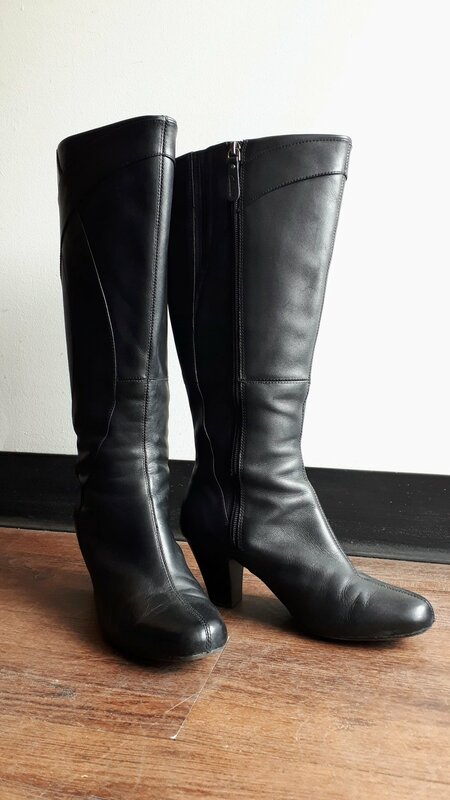 Seriously, friends, these might be my dream boots! I love the block heel, and did I mention they are VELVET?! Total fall vibes with this camel, corduroy blazer! I love how this blazer is just a straight up corduroy blazer, unapologetic and no messing around. And we trust Theory; they do a great blazer! This one doesn’t even come close to looking cheesy or seem to be trying hard to be vintage-y, thanks to the the small lapel, minimal patch pockets and great cut. No more messing around with velvet and a puny block heels. How about some sky-high Halston boots? Check out that great lace detail; that’s what makes them casual boots! Haha. I know we love Oak+Fort, but friends I am wiping away the tears and trying to catch my breath from laughing so hard: this dress still has its tags on it, and the good people at Oak+Fort have this sized as…..as…..as.…one size fits all! Pfffffffftttttt, hahahahahahaha, snort! OK, but that aside I am so intrigued by this dress! it has a generous tie in the back, so maybe that is how it is made to fit one-size? It’s so different and detailed than what we usually expect from Oak+Fort (and this one also has serious fall vibes!). So distracted was I with all the cool stuff in shop that I didn’t even notice this super cute laptop pouch form Fossil until my friend John came in and pointed it out! I did manage to spot the mini Fossil key by myself, though! And speaking of Fossil, this adorable purple dress! I’m seeing this with grey textured tights and flat engineer boots! This print is adorable…and so Fossil! Finally, the Fluevogs we peaked in the backroom two weeks ago! These lovelies are the Attentions Paris shoe, although I could not find what family the belong to. (I think Attentions is not a family, but please tell me if I’m mistaken here!) The standout on these pumps is, of course, that awesome spool heel, but these shoes also have a hidden platform and rubber sole for comfort and stability. And now, friends, it is time for a cape! Not just any cape, a Lululemon cape (just like the ones the yoga instructors wear, har-har)! But really, how adorable is this cape? And it’s not Lululemon without hidden pockets and other surprises! It even has a hood to protect your crown chakra! Stunning eagle bracelet! I tried this one for you, friends, but I could not get a good picture of it on my wrist. It looked even more striking on an arm, though, so you’ll have to come in and try it! Looooooooooooook! This unexpectedly sculptural dress is from one of our departed faves, Loft 82! The exaggerated puffed sleeves eventually meld into camouflaged straps across the bust (very modern), and it is in everyone’s new favourite colour, dusty rose! You know what this would look great with? Remember these? They’re still in the shop! I passed this one and wasn’t sure about it because it is pretty seasonal, but when I touched it I knew I had to share! The material is beautiful, it looks like it is batiked. But this dress has boning (speaks to quality) and…. ….also gorgeous beading across the bust! Thanks to it’s classic silhouette and quality construction you will have this one forever! 9 to 5 Clarks boots! That sensible heel is the best! OK, so yes, this is a very wearable dress with cute a cute tiered skirt. Yes, yes, that’s nice. I know I often say the back is the best part of certain dresses, but this time it really REALLY is! Ta-dah! This is the best bow EVER! Ok, just one more and then you have to get back to work. This ring still has it’s tags saying that it is sterling silver and that the stones are real precious stones. It does not say what those stones are (and I am terrible with id-ing stones! ), but I love it simply because I love that elegant black/white contrast! I was hoping to have something visually impressive to wow you with this week over at the new Pony, but for now it’s all about priming and electrical. How about a funny renovation Yannicdote instead? I was in the 109 St Red Pony this weekend, chatting with a couple who were asking how the move to Whyte Ave was going. I cleverly regaled them with a HILARIOUS story about how my spouse’s understanding of the space-time continuum as applies to renovations is different (read: wrong) from my own. Usually, a good spouse-blaming reno-story is a big hit, yes? On this day, however, at the mention of my spouse, the guy says to me “You mean Rod, right?" I was all “Ummmm?? ?”, and he says “I work with him”. GAH!!! I was so busted! 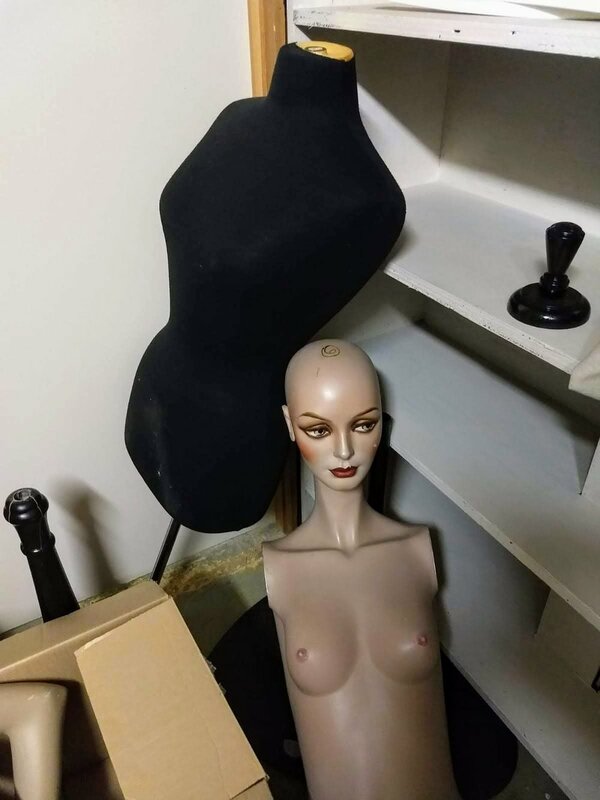 Finally, check out the creepy stuff in the basement that we have to move! It looks like Gladys from Friends! I wrote this at Remedy Café, another independent, locally owned business. When we support independent businesses we make an immediate positive impact on real human beings in our community.